Walking calmly on a leash? We can help with all of these troubles and more with our dog training program. Give us a call so we can learn more about your dog and his or her specific needs! Learn more by checking our Professional Dog Training page. Please call or visit one of our locations to set up an appointment with one of our professional dog trainers. Christina Branch is a graduate of Virginia Tech with a Bachelor’s Degree in Animal Science. Her career in training began as a child with the family dog and hamster. While completing her degree, she worked with commercial production animals, including poultry and equine animals. 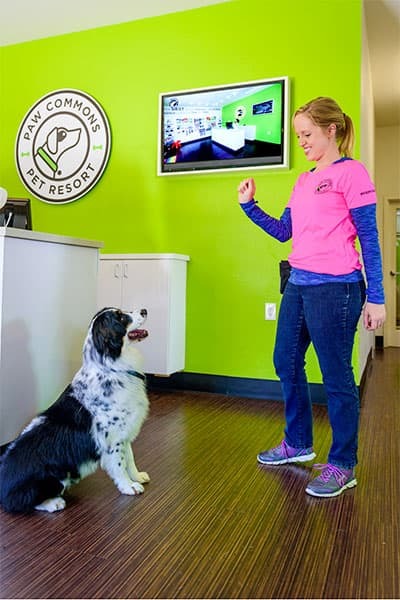 As a Dog Training Instructor, she has taught everything from basic management to agility and obedience and behavior consultation. She is dedicated to providing effective and convenient training for her clients. Christina’s methods are based on positive reinforcement and behavior modification. She believes that training and education are essential to helping the relationships between pet parents and their dogs.